What are the best travel games for kids? 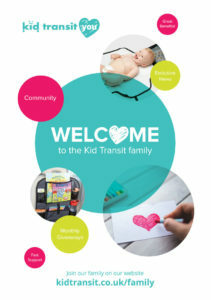 You are here: Home / Entertaining Kids / What are the best travel games for kids? 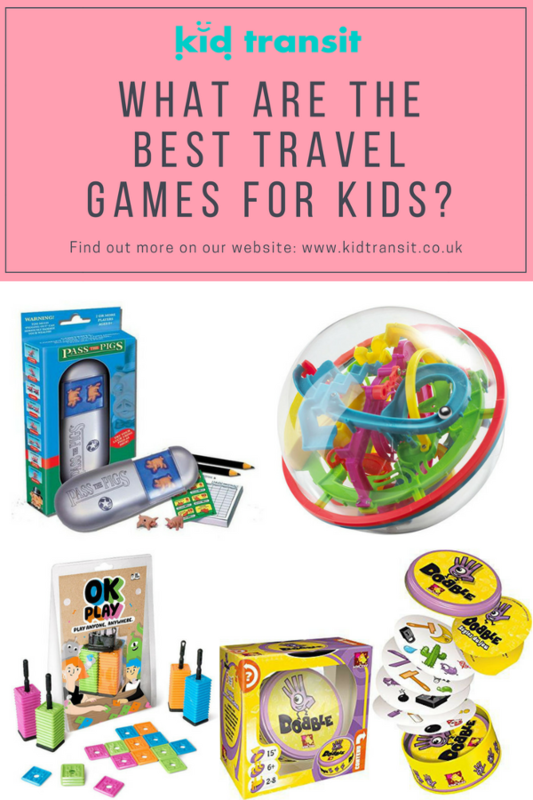 When you’re off for a long journey (especially on train, plane or boat) it’s a great idea to pack some travel games for you and your kids to play. Even car journeys can be passed quicker if you have the right game or activity to play. And if you’ve taken some games with you on holiday then there’s something to fill in the hours if the weather’s bad, the WiFi non-existent and the TV doesn’t work! If you’re off on a plane journey with children soon, have a look at our ultimate guide to flying with kids. Take a look at some of the best travel games you can find, if I’ve missed off a favourite then let me know in the comments. Having a pack of cards is really a no-brainer when you have kids, especially when they get a bit older and you can dabble in a bit of poker (not for real money, they’ll definitely be cleaning you out)! However, quite often I forget just how fun card games can be even if it is just a game of ‘Black Maria’ (or whatever it’s called in your family). You can also get your children learning card tricks (loads of online ideas or books) so they can wow all their friends when they get back to school. Everyone loves general knowledge games right? OK, maybe just me as I can sometimes get more than one question correct when watching University Challenge! 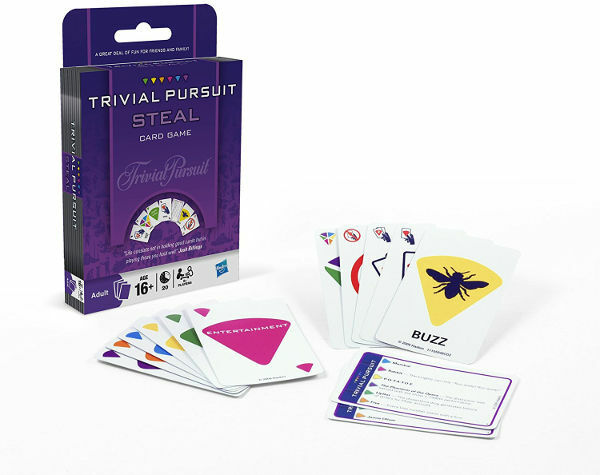 The travel version of Trivial Pursuit still involves getting all the wedges but it also introduces action cards so you can steal, swap or wild-card wedges as well. Probably suits teens and up as younger kids may get annoyed if they don’t know the answers! 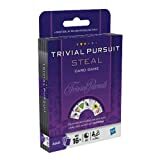 TRIVIAL PURSUIT STEAL is the perfect trivia game if you have just 15 minutes to spare. I hadn’t come across this before until I played it with a friend and her 7-year-old. As expected the 7-year-old completely schooled me in it! The round cards have 8 different pictures on them and one of those pictures will ALWAYS match a picture on another card. The trick is to be the first to find the matching picture and shout it out. Sounds pretty simple but as the pictures can be different sizes and at different angles it makes it loads harder. A really fun game with a few different variations for you to play. This is an absolute classic of a game, loved playing it with my sister when we were kids and I think I still have mine knocking around the house somewhere (will dig it out when I can trust my daughter not to eat the pigs)! 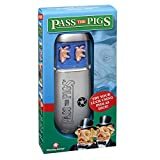 If you haven’t come across it, the main aim is to get to 100 first by throwing two identical mini pigs and gaining a points score from the different positions they land in! Sounds a bit odd but very addictive. The easier positions (such as pigs laying flat on their side) score lower than the harder positions such as the pigs landing on their noses. You get even more points for both pigs being in the same position. Some great names for the positions as well- a leaning jowler anyone? 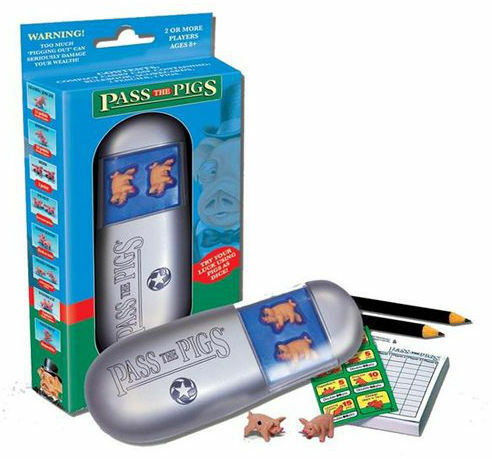 Careful if your pigs touch- all your points are wiped from the game! Not a game for the car as you need a bit stability but perfect for a plane, train or ferry. 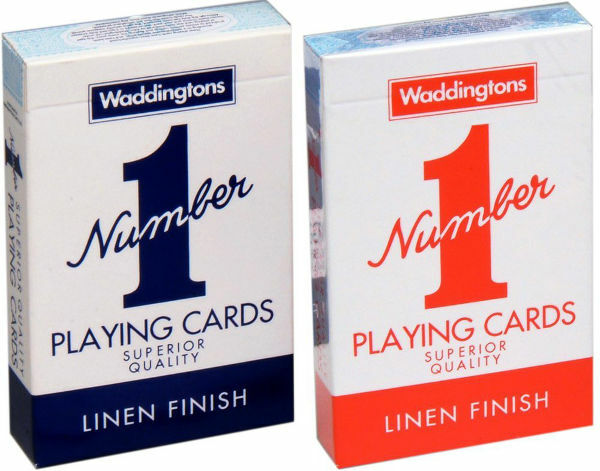 This is a classic card game based on matching colours or numbers on the cards to be the first to rid yourself of all your cards. You then score points based on what others have left in their hands and the first to reach 500 points is the winner. 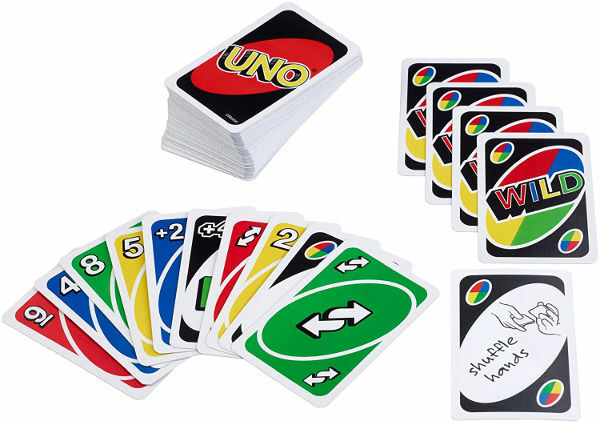 Along with the number/ colour cards are action and wild-cards so the game can change quickly as you start to play. The game is easy to pick up, but probably suits children who are 6 years and older due to a number of different rules for different cards. After a few games though, everyone is sure to be having fun! This a great game using all your skills of spelling and wordplay. 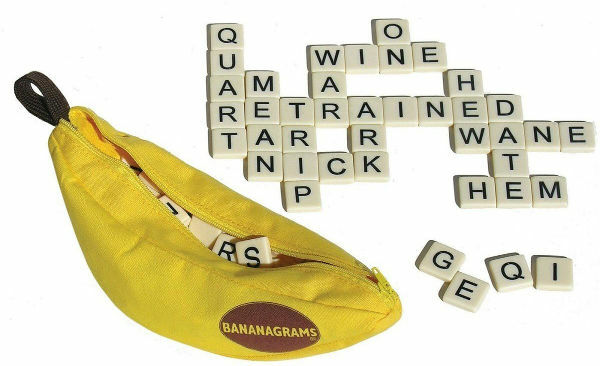 You start off with a set number of tiles from the bag of 144 and then have to use all your tiles to form a word grid (a bit like how you place words on a Scrabble board). There are a few rules for if you want to swap a tile and what to do when you’ve used all your tiles. The game can even be played on your own so you can see how fast you can spell out words to make the word grid. Due to the small nature of the tiles, it’s best to play where you have access to a table and won’t be moving around a lot- a ferry or train or of course when you’ve got to your destination. 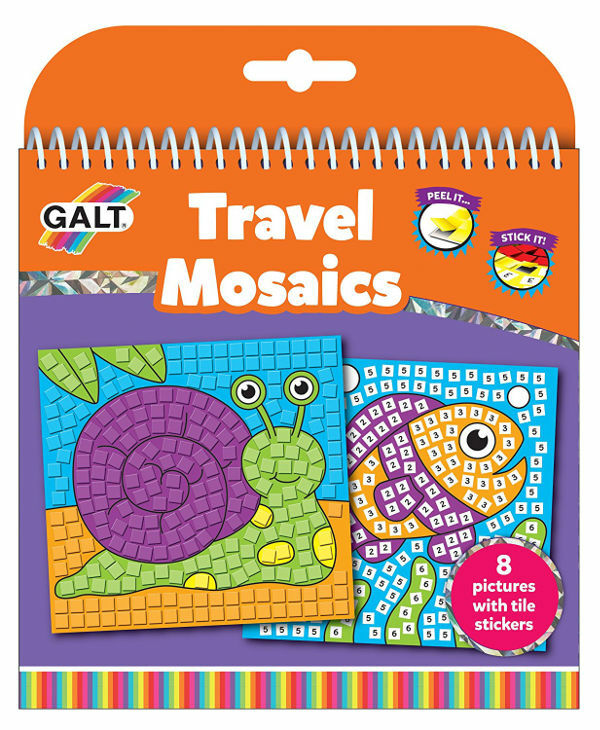 This is a really fun tile game that even smaller children should be able to get the hang of. Up to 4 players can play with one set of coloured tiles each. The aim of the game is to get a row of 5 tiles in your colour (the row can be diagonal as well as vertical or horizontal). Players can only put their tiles against the edge of another colour, not against a corner. The game is simple but becomes difficult as you try to keep your eye on everyone else’s tiles as well as your own! If you use up all your tiles before a row of 5 has been made, you can start to move tiles that you’ve already put down into new positions! A really addictive game that is easy to take around with you. TILES AT THE READY: Choose a colour, grab your stack and start laying down tiles until someone sneaks a line of five, either horizontally, vertically or diagonally. 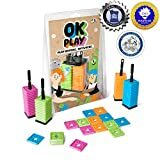 Not a game, more an activity but will provide lots of fun even for younger kids. All your kids need to do is match the coloured stickers (all numbered) to the number and colour on the picture page. They then create a lovely picture, keeping kids amused for a little while. 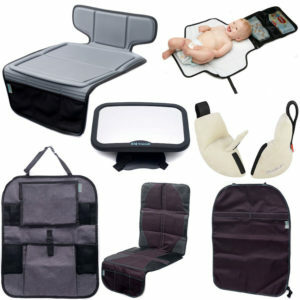 These work well in a car so are a good activity for long road trips. I’ve yet to meet a kid who doesn’t like stickers! This pocket-sized version is a lovely game that can be taken with you on holiday. 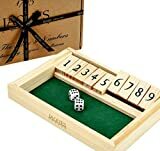 It teaches kids numbers and maths just by using dice and numbered tiles. 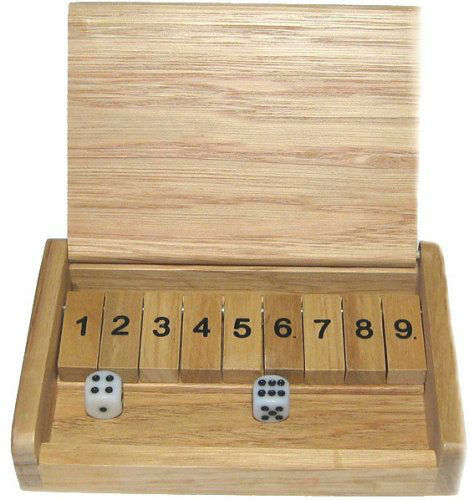 All you have to do is roll the dice and then turn over the number tiles that match (either each dice or the 2 numbers added together). The aim is to get rid of all the number tiles (1 – 9). 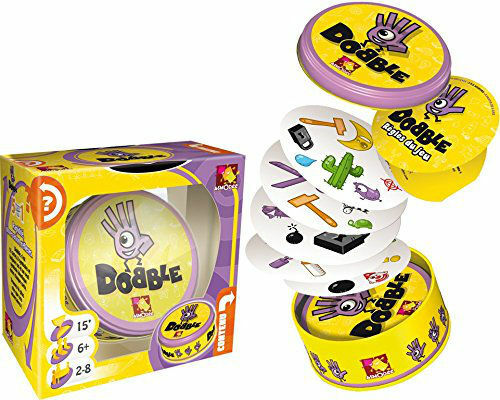 You can play a number of variations of the game to suit how old your children are and what their maths skills are like! 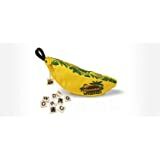 We bought one of these for our nephew last Christmas and the whole family was cursing us by the end of the day! 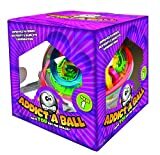 The Adictaball is like one of those ball bearing puzzle mazes but on a way more difficult and addictive scale. 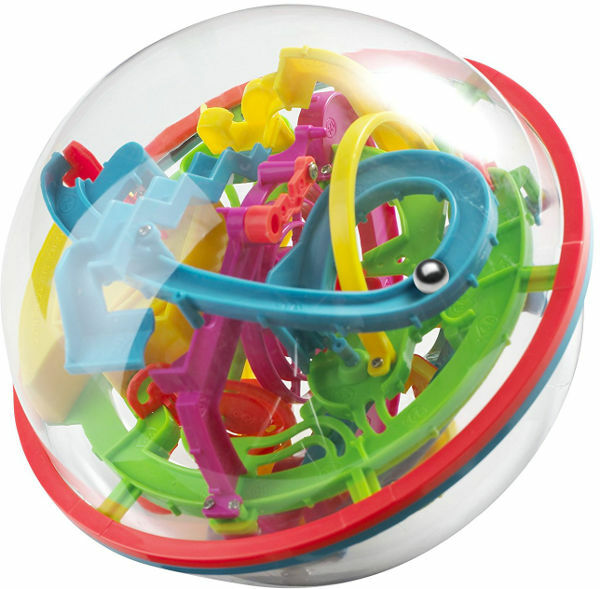 You need a lot of dexterity and some patience to get the ball through the different parts of the maze. A great game for even younger kids who will enjoy the colours and the shapes even if they don’t understand the maze part. It can keep your child entertained/ frustrated for hours and with no loose pieces it makes it a great game to take with you on your travels. So there’s our round-up of the games we love to play when out and about, hopefully, there’s some new ones to get you interested. 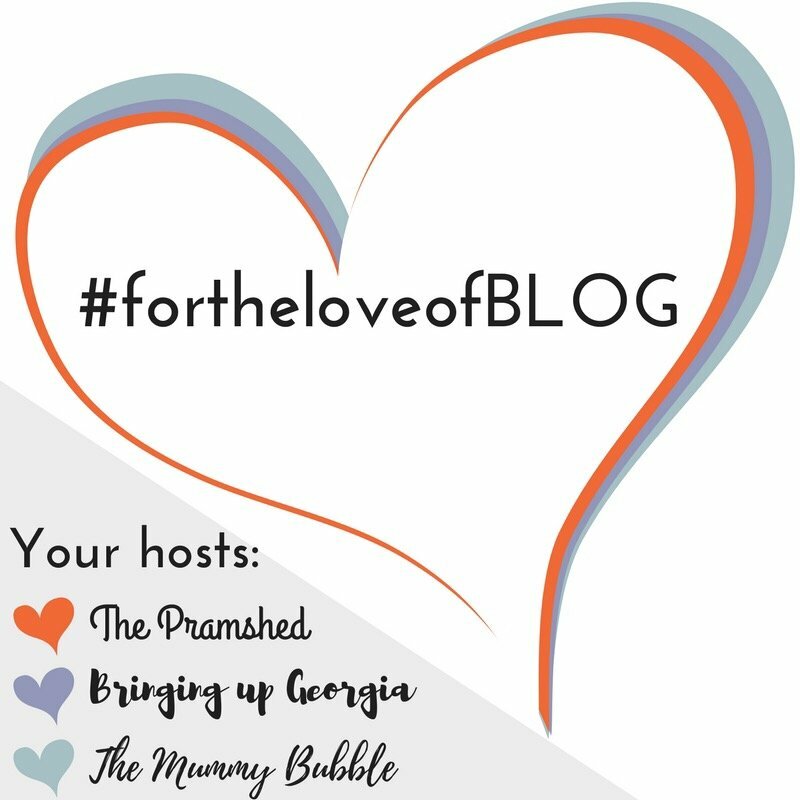 Let me know in the comments (or drop me a tweet) if your favourite has been missed off the list. We love Monopoly Deal which has been endlessly played on many a long train journey, we also recently discovered Backpacker: The Ultimate Travel Game which is also a great game for trains. I am always looking out for other good travel card games if anyone has any suggestions! Great suggestions, thanks for adding!